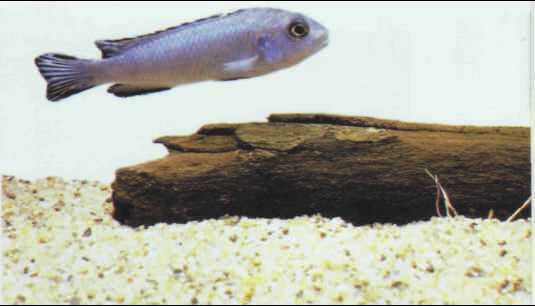 Unlike other species in this group, the male and female cobalt blue cichlid are scarcely distinguishable. This Mbuna is aggressive and defends its territory ferociously. It appreciates supplements of vegetable material. Size: 13 cm.